News out of the Cannes film festival: The movie version of Hector and the Search for Happiness, by François Lelord, has found its leading man. 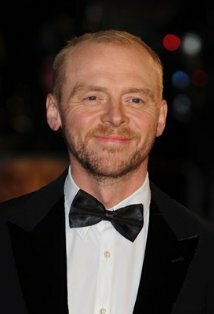 British actor Simon Pegg, known for roles in Shaun of the Dead and Mission Impossible: Ghost Protocol, will play the title role of a psychiatrist who travels the globe trying to find the secrets of happiness. Peter Chelsom will direct, with filming to start after shooting wraps on The World’s End, Pegg’s followup to Shaun of the Dead and Hot Fuzz.